If you're a fan of Sega's Sonic the Hedgehog, (and you haven't been hiding under a rock for approximately ten years) then you'll most likely remember the anthropomorphic mammal's first actual foray into three dimensional platforming (3d blast should never count, ever). After the Dreamcast's very short run, Sega went 3rd party and started developing for other systems, such as the Playstation and the Gamecube. One of the most memorable games on the Gamecube was an enhanced port of Sonic Adventure, possibly the most well known game on the Dreamcast. The basic premise of the game is simple; you perform a variety of jumps and attacks to defeat enemies and reach the goal, which varies from the well known Chaos Emeralds, to a killer robot you must destroy. But what sets this game apart from other the entries (besides that it made the transition from 2d to 3d) is the fact that you can play as a variety of different characters offering many different play styles, something that was not as prominent in previous titles. The cast includes everybody's favorite hedgehog, who reminds us of the good old days of the spin dash and the witty platforming we've come to love, Sonic's best friend Tails, who still seems better than sonic because he can fly, the "tougher than the rest of them" echidna Knuckles, who now has intelligently designed treasure hunting missions, Sonic's girlfriend (but not really) Amy Rose, who has a vicious robot chasing her that she frequently must smash with her hammer to disable it long enough for her to find the goal, the gentle giant Big the Cat, who has a horribly controlled fishing mini game that you must play to finish his levels, and E-102 Gamma, a sentient robot who desires to free his brethren from Dr.Robotnik's control. Aside from the main stories, there is a series of entertaining mini games which can provide a momentary distraction from the main game. These include a boss rush mode for each character, a cart racing mini game, a snowboarding mini game and classic sonic games. You can access the stages from the disheveled overworld which is split into three sections, with the final two sections having much more detail than the first, making it seem bland in comparison. There is not too much a reason to explore the overworld, besides a few hidden gadgets which add new possibilities to the gameplay. There is also another extremely entertaining yet time consuming thing in the overworld; the Chao Garden. Upon entering it for the first time you are greeted with two speckled eggs which hatch into rather cute creatures called Chao. You can bring the small animals you find in the stages to the garden, and upon picking them up and walking over to your Chao, it copies some of the traits that animal has and it may level up in a specific area, such as running or swimming. You can enter your Chao into a race, but you have almost no control over the outcome during the race, your chances of victory being based on the amount of animals your Chao has copied. You can buy more Chao eggs from the shop, but you can can also find them in specific locations in each of the three overworlds. Sonic's levels are still just as, if not more fun than they were in 2d, with the jumps being more precise than ever, and the addition of the now famed homing attack sealing the deal. The homing attack sometimes has issues however, you could be in a line of enemies yet your attack may not lock on to them. His level design is brilliant however, with methods of transportation ranging from a zip line to a tornado. His boss fights are some of the most welcome additions, with new takes on the Eggman mech fights to the new, more challenging boss battles with a new foe. Tails still plays very similarly to Sonic, which is why their levels are almost identical, with a few added twists to help the flying fox navigate through the levels, such as large boost rings suspended in midair to replace the shuttle loops, for only sonic can properly go through them now. Knuckles however, no longer is bound to Sonic's stages, and now has his own problem to worry about. With the master emerald being shattered and it's pieces scattered across many stages, Knuckles has to collect all the pieces to resume his guard of the Master Emerald and the now fallen Angel Island. Knuckles' levels play out a little differently from the platforming we're all used to. He now has open world stages he must explore with a radar that detects pieces of the master emerald, when a piece is near, it changes from blue, to yellow, to red depending on the distance away from said piece. After collecting three pieces, the level is complete. Shouldn't you be out collecting the Master Emerald pieces? Amy plays like a much, much slower Sonic, only with a giant destructive hammer. Sadly, this hammer rarely gets much use as the majority of her story is simply running away from a robot chasing you endlessly. Even when you seemingly "kill" it by knocking it off a cliff, it then proceeds to respawn in close vicinity to Amy, forcing you to run if you don't want to lose. Big the Cat plays in a fashion that is heavily implied by his name; a bumbling, slow, fat cat. He has a large amount of strength however, which is quick to intrigue most, until you realize he rarely uses it, and instead spends all of his time fishing with a frog, and not even a sentient one. Apparently, he can not keep his eyes on the thing, so he is always chasing it down. Literally all of Big's stages humor this idea, but with a horrible twist. You have to fish for the frog until you catch him. Need it even be said that this series revolves around fast action? Maybe it would be decent if it at least controlled well, but nope, you'll just want your eyes punched out by Knuckles' spiked gloves within five minutes of playing this atrocity. E-102 Gamma is where the game differs the most from previous entries in the series. 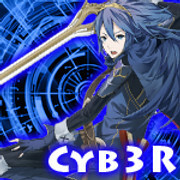 His gameplay is in the style of a third person shooter, yet it still acts acts as a platformer, creating a very entertaining diversion from the main stories. His missions are timed, but they are paced well, so it's difficult to not finish one. At the end of each level there is an E-100 model robot you must fight to complete the level but these are generally very quick and easy. By locking on to enemies in quick succession, you can obtain more time. Perhaps the most intriguing part about the game, is the story. Yes, the simple "save animals and stop Robotnik!" idea is still there, but that's not all now. The Eggman has a new pet whose actions are accurately described by it's name; Chaos. This new enemy is an ancient enraged beast whose origin's you piece together from each of the six character's stories. Robotnik has also stepped up his game separately, frequently resorting to underhanded methods to obtain the chaos emeralds, a staple of the series. In addition, he has a new army robots which pose a much more serious threat than the badniks of old. The music is perfectly fitting for each specific situation, something the series excels at. Songs such as "Open Your Heart" by Crush 40 are still considered some of the best tracks in the series by fans. There is also voice acting, which, while very corny for most characters (tails is one of the worst offenders), is a welcome addition to the cutscenes. The voice actors for Sonic and Eggman deserve a medal for staying in scene for their lines. Between the Dreamcast original and DX Director's cut, not much changed in terms of how synced the lines were, with overdramatic mouth movements being common. The camera can be troublesome at times, as it tends to have preset angles in certain areas, and when it tries to follow your character, you can end up at rather bizarre angles. Most of the time however, it works fine and doesn't cause any real trouble. Graphically, the game is far from perfect, but one must remember it is a Dreamcast port, and it therefore does not have the standard quality of gamecube games that came before or after it. 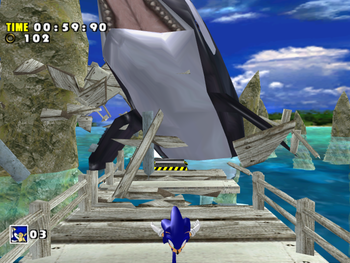 Sonic Adventure has almost flawless gameplay (with a few minor issues here and there), which is an outstanding achievement considering it is their first real attempt at bringing him into 3d. The story is entertaining, with a surprising level of depth that has been missing as of late. The graphics could have been better, but one can forgive them for the game does make up for it in other areas. Overall, the game is an excellent first attempt at 3d platforming for the Sonic Team. While it's a little rough around the edges, any sonic fan should give it a chance. This forum signature is so witty and elaborate in design that you can't comprehend the majesty it entails. My first review, ever. Coulda made it longer, but meh. Please give me tips on how I can improve! I like it, really good. :3 But nobody is mention controls in their reviews (myself included ). I would say extend a few things, like the Knuckles sections, 3 emeralds per, and with Tails, how his levels are pretty much copies of Sonic's, yet with a good twist. You also forgot to mention the camera. That camera system isn't perfect, but interesting to say the least. Knuckles wrote: I would say extend a few things, like the Knuckles sections, 3 emeralds per, and with Tails, how his levels are pretty much copies of Sonic's, yet with a good twist. You also forgot to mention the camera. That camera system isn't perfect, but interesting to say the least. Right, I was gonna put in something about the camera, but I kinda spaced it. I also forgot the over worlds, the chao garden and I was gonna go more in depth with the gameplay, but my dinner was getting cold. I think I'll do Adventure 2 later as well, since I've always had more to say about that one. 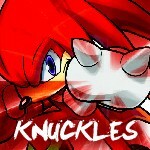 But thanks though @Knuckles, constructive criticism helps. @Happy Are you sure it deserves an 8? I thought it was good, but I'm heavily biased towards the 2D titles, so I might be a little of by saying it was a 6 or 7 for me. Then again, after the initial Sonic 4 "wow" factor wore off, it switched from a 9 like @James from NL gave it to a 7. Not much fun after the second playthrough, as I mastered it in 2 playthrough. I've found that I've replayed this like 7 times, with my only issue being Big's fishing levels, which shouldn't have been there in the first place. I actually didn't have a problem with his fishing levels? Or maybe I'm remembering it wrong as I forced myself to speed playthrough everything, it was a friends game. Oh, and Big's levels weren't there in the first place, they were added in last minute, like Sonic was to brawl. Playing as characters other than Sonic is what made me not like this game. The Chao Garden is what made me play it over and over and over again. The Sonic levels in this game are probably some of the best in any 3D game for my money. Big isn't that fun to play as, but his levels are really short as long as you know how the fishing works. Ninty asked SEGA if they wanted Sonic in Brawl. SEGA declined, but in the games final stages of development they dropped on their knees and begged like no one had ever begged before to put Sonic into Brawl. I sightly edited that last line. But really? I mean Yuji Naka personally asked for him in Melee, but their wasn't enough time. This time, the game suffered a 3 month delay in some countries just for Sonic to be added.